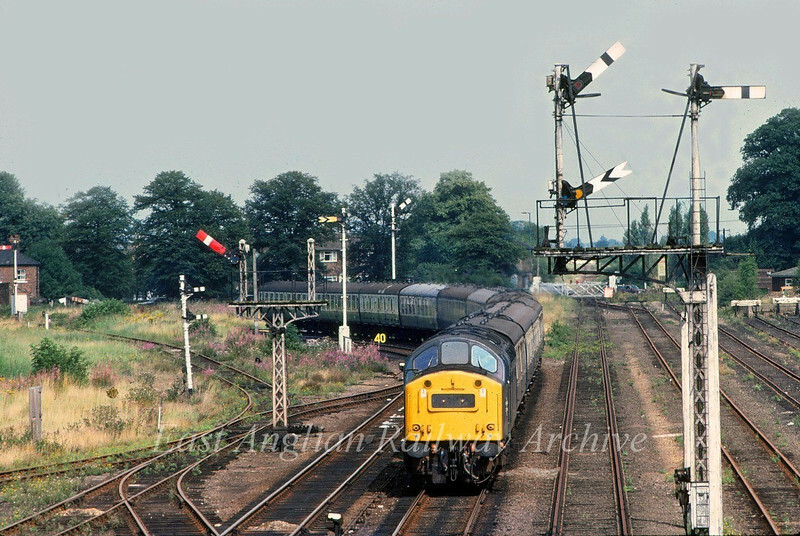 40146 approaches Spalding amongst a fine array of semaphores on a Newcastle to Yarmouth summer Saturdays only working. 16th August 1980. The original line to Boston was straight ahead.